Headlines about the Japanese nuclear power plant that was overrun with the tsunami and earthquake a while back still show up with regularity in a manner that implies doom and gloom – i.e. FUD mongering. Matthew Rave describes his view Radioactive water from Fukushima: don’t worry about it. Of course, his explanation has numbers and measures and other attributes of the real world rather than hyperbole, generalizations, logical fallacies and such things that FUD mongering depends upon so do be careful. Like a lot of things that deal with the margins between human bodies and the ‘world out there’ the matter is one of dose. Too much DHMO and it will kill you. Too little and you die. People live in a sea of radiation and sometimes the basement can be dangerous. When it comes to radiation, it is easily measured and there is a lot of good data about just what risk any particular dose over a given period of time has. That doesn’t stop the FUD mongerers, though, as reality never does. There is a self identity and it isn’t one of pride and civic virtue. It is one of mob violence and a grievance industry to support and condone it. David Paulin explains how Rioting black youths stun Austin, Texas. There is a common factor here and it highlights a denial that, in itself, is creating dissonance and tension that threatens violence. Thomas Lifson’s book review of Jack Cashill’s If I Had a Son concludes that it “is an important work that deserves a large audience”. The book is about the Black Grievance Industry (BGI) propaganda campaign to railroad a mugging victim acting in self defense and the impact of a blogging group that dug up the facts to counter the propaganda campaign to railroad justice. “But the most surprising heroes comprise a group of 8 previously unheralded bloggers, working at the website Conservative Treehouse, who made history. Although they scrupulously avoided any contact with the defense team, their work, relentlessly exploring and testing information related to the case, freely available online to anyone, provided invaluable support to the defense. Cashill believes that they may have made the difference in Zimmerman’s acquittal. The prosecution, despite having the resources of the state of Florida at its disposal, did not have an outside group X-raying information, and utilizing open source investigating techniques, dedicated to uncovering the truth. The saga has entered the collective and you can see its effect every now and then when it is used as an example in a way that takes the BGI narrative as axiomatic. The problem with a book exposing the problems with such presumptions is that it takes the path of reason and that is not in the same realm as those who espouse the grievances. Income is a dream. Spending is a reality. KNUDSON: The only worthy topic for budget talks — spending control. “The only sure way to reduce these deficits, however, is to control spending — and that must be the focus of the budget debate. Spending control cannot be achieved solely by reforming the budget process (though it does need reform), or through some mystical “grand bargain” or “budget summit.” It will require a sustained effort, over several years, at realigning government priorities, discarding those that are not true requirements of the national government, and fundamentally restructuring government programs, especially the entitlements. That is a core problem with the current partisan split as one side of the debate does not agree with this but rather thinks that taxes can be raised as needed without consequence to the underlying economy. That is dreaming about income. The other side believes that spending is key as spending is a real thing you can get your hands on and control. “It is bizarre, bordering on the perverse, that a movement that believes in limited government, individual rights, equality under the law and a colorblind society is called racist by the very party and ideologues responsible for the most heinous sins in American history. Liberals are resorting to slander and crass emotionalism because deep down, they know one simple truth: The Tea Party is right. The underlying question is how so many in leadership positions can have such slander accepted with no questions, much less shaming, from the public at large. Mark J. Fitzgibbons describes how a Virginia Farmer Starts Property Rights Legal Revolution. What is troubling is that there are groups that believe your property is their property. This includes groups like the Virginia Association of Counties and environmentalist NPO’s. The problems and issues involved include the presumption that legislation is constitutional even if it is very local and created by, say, three of five county commissioners. This is compounded by the fact that those who think society has primacy are often activists and quite agressive in promoting their ideas about the idea that their view of social needs surmounts and surpasses your rights as a property holder. This idea is showing up in many debates. It was one of the sticking points in the budget confrontation recently in regards to health care legislation and subject to an idea for a Constitutional ammendment as well. Those in the government, the bureaucrat class, must abide by the same laws and the citizen. A part of this is responsibility and accountability for actions taken. With a straight face, even? The obsession with Dirty Harry is perhaps one of the first clues that the argument is lacking in intellectual integrity. The created dichomoty between the “castle doctrine” and “stand your ground” doctrines is another. The false idea that “stand your ground” legalizes vigilantes is another. Labeling a victim of an assault as a “vigilante” and then pretending this is a “stand your ground” issue rather than a self defense issue just illustrates how loose and free Frank is when it comes to reality. The fact is that “culture of violence” is another falsehood — violent crime with guns has been decreasing in recent decades. Stand your ground laws are simply supporting the idea that you can defend yourself if you have no other option. They do not allow you to go after anyone who you might think is after you. The only difference with castle doctrine laws is that you can defend yourself out of the home as well as within it. The column is a good lesson in constructing a straw man in order to wail away at a perceived injustice with absolutely no regard for intellectual integrity. The real question is why such dishonesty gets placement in anything pretending to be a news source. Why brag about an increase in mass murder on your watch? John Hinderaker wonders: Have Barack Obama and Eric Holder Caused an Increase in Mass Murder?. What gets interesting is that mass shooting incidents by “individuals, almost always deranged, are extraordinarily rare.” That raises the question about what it is in the current environment that is causing more of these deranged individuals to act out violent fantasies. Hinderaker suggests maybe just coincidence or perhaps a follow along sitiuation. But might a “hope and change” disillusionment be a factor as well? Sticking obstinately to a fantasy despite results is a crisis and, it appears, it is not going away soon. RAHN: When shutdown orders overrule the Constitution. After WWII, the excuse of “just following orders” was considered an invalid defense. That was military. What about civilian? The boundaries are being explored and the consequences might be significant. John Hinderaker wonders: How Crazy Are the Democrats? and lists behaviors that concern him. “The Democrats have achieved a public relations coup that any ministry of propaganda would be proud of. Worried that the United States is $17 trillion in debt? Radical! Unconcerned about deficits that pile up as far as the eye can see? Responsible! Unhappy about an anemic economy in which a generation of young people struggles to find full-time employment? Traitor! Content with record levels of poverty and non-employment? Moderate! Want to get rid of a law that is opposed by most Americans, decimates the economy and is patently unworkable? Crazy! Delighted at the sight of millions of Americans losing their health insurance and being demoted to part-time employment? Public-spirited! The propaganda effort is only one side of the story, too. There is more on other fronts. Disheartened? How about filled with a terrible resolve instead? John Hayward has quite a rant about what he thinks is the Tea Party Vindication. “Certainly all of that is terrible and infuriating… but dispiriting to the Tea Party? Nonsense. Everything that happened over the past few weeks has been pure vindication for them. “That shutdown deal was no “clean” bill, by the way. Among the other things it contained was a “gift” of $174,000 to the widow of the late Senator Frank Lautenberg. ”It’s been a tradition to pay a year’s congressional salary as a death benefit to the spouse of a lawmaker who dies in office,” the Wall Street Journal reports. Whew! Quite a rant. Good questions to ponder. He concludes “That sounds more like a challenge than cause for despair” which is probably a good thing. Caroline Glick says it is The Bothersome, Annoying Truth. The stimulus this time starts with Israel’s War of Independence, a Master’s thesis that was an admitted fabrication, and a play called The Admission. The target, as usual, is Western Culture. “In other words, a blood libel depicting Israeli soldiers – and the society that supports them – as mass murderers, is not beyond the pale. It is the beginning of an important conversation regarding whether or not Israel is a criminal state born in war crimes. The same phenomena was visible just recently in the budget battles. For some, it is ideology and not reality that matters and the end justifies the means. That is a recipe for a true disaster. 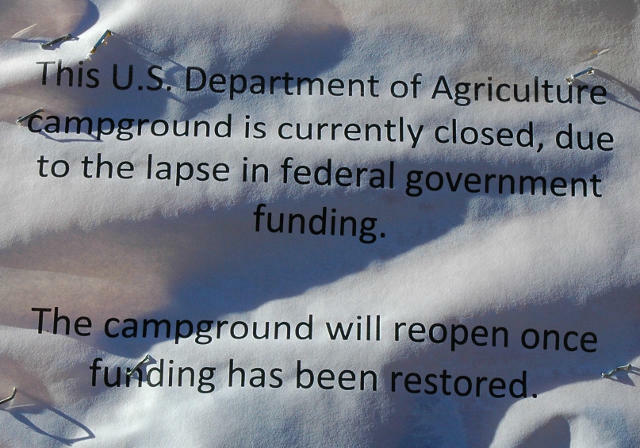 The Chief of the U.S. Forest Service seems to think that the “lack of funding” is a critical matter of public safety or property protection – in an area that is not manned and open to the road. 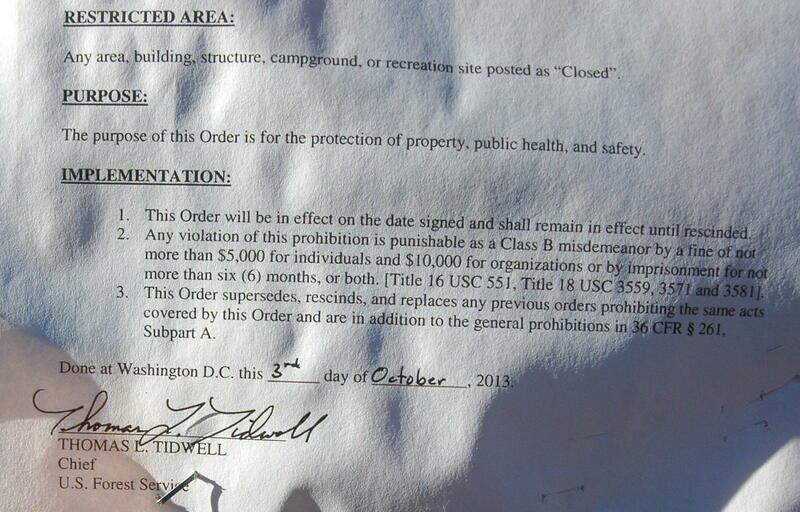 People like Tidwell are hired to prevent this sort of governmental abuse of power. He says its the most frequent argument he gets into. Is Cronyism Private Enterprise’s Fault or the Government’s?. For those on the left, any incident of a business taking advantage of the regulatory environment is all the fault of the business and a clear indication of a need for more governmental control. The Coyote points out that it takes two to tango and a better approach might be to not offer the incentive. “But the implication that this is all the fault of corporations is just wrong, as is the the inevitable Progressive conclusion that somehow more government regulation and powers are necessary to combat this. I put it this way – “invest in customers rather than DC bureaucrats” – because every new regulation, every new government power over commerce is essentially a dis-empowerment of consumers in the marketplace. Nowhere is this more true than in pharmaceuticals, where the government tells consumers what they can and cannot buy. The question centers on matters of incentive and accountability. The more power the government expresses, the more incentive there is to manipulate it. In a free market, it is a companies customers who have the power and they can hold the business accountable in their choice of product and service. Monochloramines in Tap Water. The literature, it seems, had correct information. The problem was that it was selected information that did not address the issues of risk versus benefit. As with a lot of these FUD mongering efforts, a bit of consideration can shed a lot of light. Monochloramines have been used for 90 years and there has been no epidemic as suggested by the sales literature. Do you really want to spend thousands of dollars on something that hasn’t shown itself to be a real threat over nearly a century? George Neumayr says it is ‘A Pope Francis-Nancy Pelosi Catholic’ ethos. “At the field hospitals of the Catholic left, the sheep have choked and died on the “medicine of mercy,” the euphemism for people-pleasing heterodoxy among spirit-of-Vatican II liberals. There is no reason to suppose a strengthened dose will raise any of the patients from the dead. Another article described how the new Pope is talking about idols, especially the intangible ones. Money and greed seem to top his list but the ghist is that people are looking to have their “ears tickled” with some desire that doesn’t come from Christ. In this regard, the allegations about the Pope are worries that his pronouncements are more about projection than church doctrine. “If the Republicans acquiesce, the immediate crisis will quickly vanish, credit markets will calm and public life will return to other matters. The Constitution says it is the House that has to allocate government expenditures. The reason for this is that the House is closer to the people with members elected every two years and should therefore be more sensitive to the mood of the citizenry. Rep. McClintock describes the fallacies behind the ‘default’ talk and the nature of the ‘debate’ at hand. The only efforts to find ‘compromise’ have been from the House majority party but that bit of history is not getting through the pravda parade aka mainstream media which is supporting and defending the falsehoods rather than clarifying the reality. Cal Thomas says The ‘bums’ aren’t the problem: We are. That tends to make it a ‘them’ vs ‘us’ thing and that means when ‘us’ don’t get what we want, it is ‘them’ that is at fault. That leads to the idea that the ‘us’ should throw ‘them’ (the bums) out. The conflict is between the powerful and the masses and not between ideologies. That then becomes another way that “We have met the enemy and he is us”. The ‘us’ is so busy with what we are owed, we lose sight of the fact that ‘them’ isn’t a cohesive collection and has parts that need to be supported and encouraged. ‘Both sides are the same’ is an excuse for laziness and denial. Jack Kerwick thinks Columbus Day is Still a Day Worth Celebrating. Why such a thought even comes to mind is because of the ideological driven historical revisionism that seems so popular. Diminishing Columbus also gets into finding – or creating – others who ‘discovered’ the Americas. The key in that effort is to note that Columbus marked a turn from individual exporers who visited and left to a global connectedness empowered by trade, ideas, and culture. It is the success of that effort in building a global humanity by western cultures that irritates some into severe dissonance.